Rodland Toyota invites new car shoppers that are looking for competitively priced, high-tech sedans to visit our dealership in Everett, Washington to meet the 2019 Toyota Corolla that is now available! 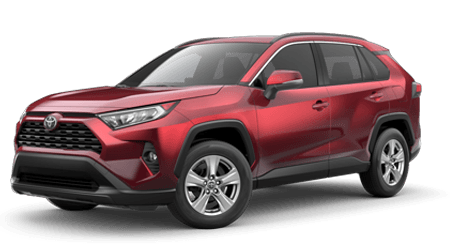 Our Toyota sales department is familiar with all six trims that are included in this model lineup, as well as the standard and add-on features this vehicle has to offer. Don't worry if you already own a vehicle but would like to upgrade to this eye-catching sedan, as our new and used car dealership near Mukilteo offers professional auto appraisal and trade-in services. Value your car online now before visiting us for a 2019 Corolla test drive! How Does The 2019 Toyota Corolla Sedan Compare? Learn more about the sedan models that are available to you, see how the 2019 Toyota Corolla compares to a similarly equipped 2018 Honda Civic. The Toyota beats out the Honda when it comes to entertainment, as it comes standard with a CD player and an auxiliary input jack, features that are not available on the Honda. The Toyota sedan also boasts an on-board computer and illuminated vanity mirrors, again, features that aren't available on the comparable Honda. If you're looking for a new car that offers a rear split-folding bench, remote fuel filler door release and six speakers, opt for a Toyota Corolla, as these are all features you won't find on the Honda Civic! Now let's see how this Toyota sedan stands up to the 2018 Ford Focus. Both the Toyota Corolla and the Ford Focus offer Bluetooth connectivity, steering wheel audio controls and seating for five but it's the Corolla model that provides an MP3 player and vehicle speed proportional power steering, features that aren't available on the Focus. Don't let a 2019 Toyota Corolla sedan slip through your fingers, complete a Rodland Toyota loan application from your nearby Mill Creek, Washington home now!